If so please contact me via the address for the Editor on the In Touch Page and get them uploaded. 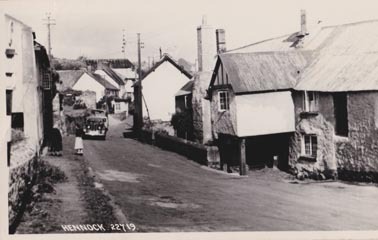 Hennock - looking North up Church Street. 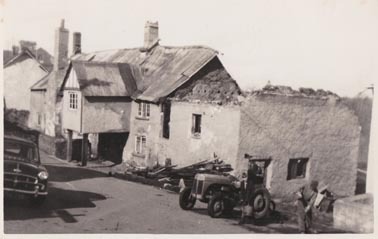 Slade Farm with a part of the roof missing. This was apparently due to a fire that started in the store area ca 1963-64. 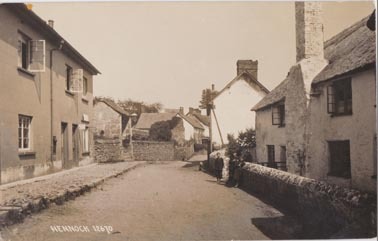 The store was demolished and replaced with the present garages, and the house was split into two dwellings now Lakes Cottage and Slade Cottage. Thanks to Lyn A for the background info. 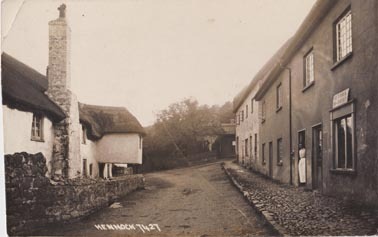 Looking North towards the Church, the Lichgate can be seen on the left beyond the Old Post Office. 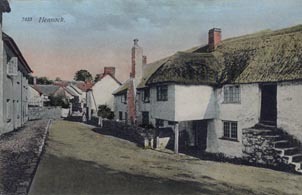 Slade Cottage on the left when it had thatch and the Old Post Office on the right. Looking North up Church St. Some old 1920s or 30s cars parked by the Lichgate. Images kindly provided by Amanda Hamlyn granddaughter of Maud Anderson.